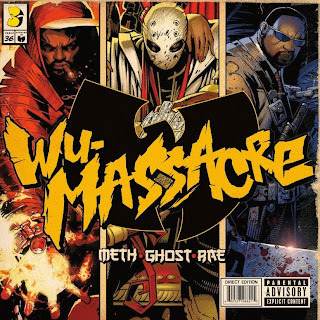 Heres some more new joints from the upcoming Wu-Massacre album due out by the end of March. 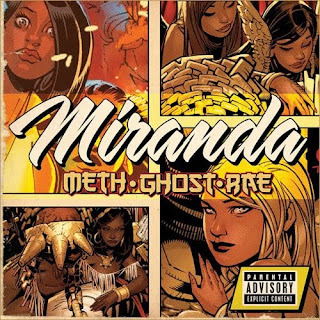 The first one is called Miranda and is classic Raekwon and could have come straight from either of the Cuban Linx albums. It features a dope piano loop and a cool vocal sample running through the whole track with Raekwon, Ghost and Meth dropping nice lyrics all of the tune. I have no idea who is behind the boards on this joint but its nice. The second track is Youngstown Heist f. Trife Diesel, Sheek Louch & Bully and is produced by the underrated Scram Jones. Its a dope track with a ice cymbal loop over a almost marching beat. All of the emcees drop nice short verses over the vocal samples that make up the background of the song. Its a decent enough track although not as good as the others we've heard so far from this project. I have also upped the dope Meth Vs Chef part two which is also from the album. Although the original version of Meth Vs Chef from the underrated Tical was a sick track and untouchable in my mind, this comes close. It uses what sounds like a horns sample taken from a 70s cop show like the Streets of San Francisco. The song ends with Meth and Rae trading mum curses in the style of 36th Chambers. This album is shaping up to be real good tapping into the energy of the three most consistant members of the Clan. I'm also loving the artwork for this project obviously going for a real comic vibe with it, heres hoping this gets a real vinyl release. 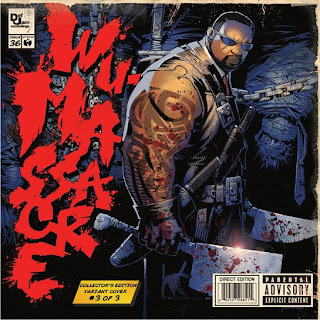 Missing track from Wu-Massacre or OB4CL2?